With a small population of just 7,622 residents, the area of Piney Flats is most loved for the low cost of living, accessibility to an abundance of recreational opportunities and the diverse economy. A recent transplant from the “Tri-Cities” metro area, Piney Flats is located on the Northeastern section of Tennessee, a stone’s throw away from the Virginia border. 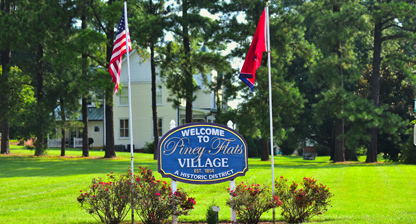 Piney Flats real estate is loved for its low cost and short commute times. Start your journey to becoming the latest resident of the area by browsing the real estate listings below, or continue reading all about Piney Flats homes for sale here. Sign up today and gain the ability to save your searches, save your favorite homes and receive instant messages the moment that homes for sale in Piney Flats become available on the area's real estate market. There are a myriad of home styles available in Piney Flats, TN. Whether you prefer the ornate and traditional stylings of the Colonial and Cape Cod-inspired homes, or the rustic nature of a log cabin that’s situated close to the water, most home hunters will find something that pleases them on the Piney Flats real estate market. Many of these style of homes have been known to be filled with rustic charm. Made from solid wood, the log cabin homes often have vaulted ceilings, custom stone center columns and beautiful covered porches that look out to the surrounding rolling hills. Occasionally sprawling out as much as 2,700 square feet, multiple bedrooms and bathrooms are commonplace. Although they are scarcer on the Piney Flats real estate market, there are a few Cape Cod-style homes throughout the community of Piney Flats. These older homes are often filled with character and hearken back to a simpler time. The simple one and a half story structures are famous for their clapboard siding, large windows and functional layouts. From time to time, Cape Cod homes for sale in Piney Flats will be situated on large lots of half an acre or more. Often some of the more expensive homes for sale in Piney Flats, the neo-colonial inspired homes are a beautiful sight to behold. One such home that was found on the Piney Flats real estate market recently was perched high on a hill, looking out towards East Tennessee. This home had a large lot of approximately 30 acres, making the perfect home for equestrian enthusiasts. Stylish plantation shutters, gleaming wood floors and an open concept master dressing room and bedroom, made this custom Colonial-style home particularly special. Although a reasonably small community, Piney Flats has two schools for the area’s residents to choose from, although middle and high school aged children will have to travel a little further to either the Boones Creek Middle School, East High School or the Central High School. There are two incredibly popular attractions in Piney Flats—Rocky Mount Museum and East Tennessee Distillery. The Rocky Mount Museum provides an opportunity for visitors to step back in time to the 1700s and experience the life of an early pioneer in the Appalachian Mountains. Much like the museum, The East Tennessee Distillery also celebrates the history and traditions of the early settlers of the region. Guests to the distillery have the opportunity to learn about, and even sample, the famous moonshine of the region. Ready to book your tour of the homes for sale in Piney Flats? When you are, don’t forget to contact the skilled members of the Byrd Home Team.